Today we continue our interview with author, Dr Judith O’Malley – Ford to discover who she is and what prompted her to write this book. Follow the promotional tour to learn a little more each day. Synopsis: This book has the potential to save many lives. Every question regarding anatomy, disease processes, decision making procedures for the treatment and considerations of the side effects, psycho-social effects and the impact on relationships, are concisely covered – all in layman terms. I also love painting, and drawing and reading. I have had 2 watercolour exhibitions. I love quilting and spending time with family and friends. 14. Describe your perfect day. Every day I achieve the things I set out to do. 15. What five words best sum you up? Hard-working, passionate, dedicated, positive, meticulous. I wrote a story once, starting with the statement, ‘I was born at the age of four”. I think this says a lot about who I am. If I set myself a task, I will always see it to the finish. My heritage is a mixture of Irish, Scottish, and French. My paternal grandparents were born in Ireland. My grandfather was a stonemason craftsman and died before his time from an associated occupational lung disease. There are enduring examples of his work in public places in Brisbane where I live. Recently I compiled a picture book of the family history, with pictures dating back to family gatherings of my mother’s family and her great grandmother. Check out the posts on the other blog tour sites to learn more. The book is available at all book stores. If it is not in stock yet, ask them to order it for you. 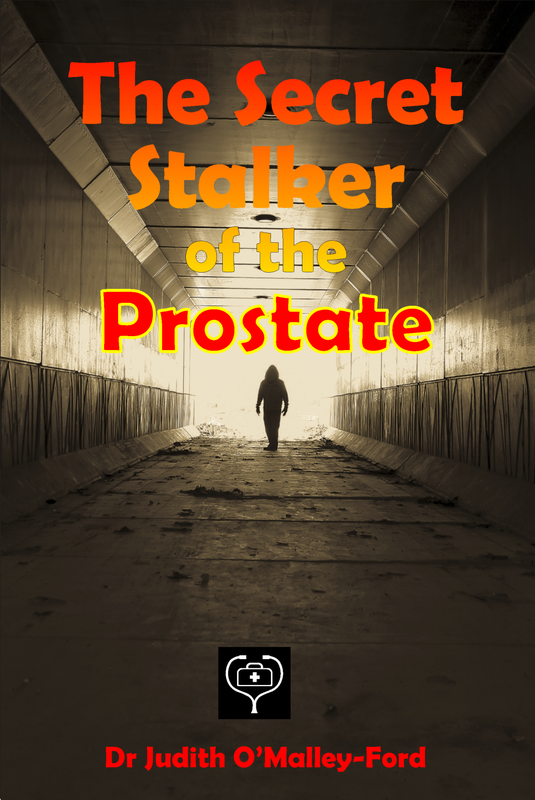 It is also available from the Morris Publishing Australia’s website http://www.morrispublishingaustralia.com/the-secret-stalker-of-the-prostate.html And on Amazon as an eBook. Today I am pleased to welcome the amazingly talented, award winning author Bill Condon. 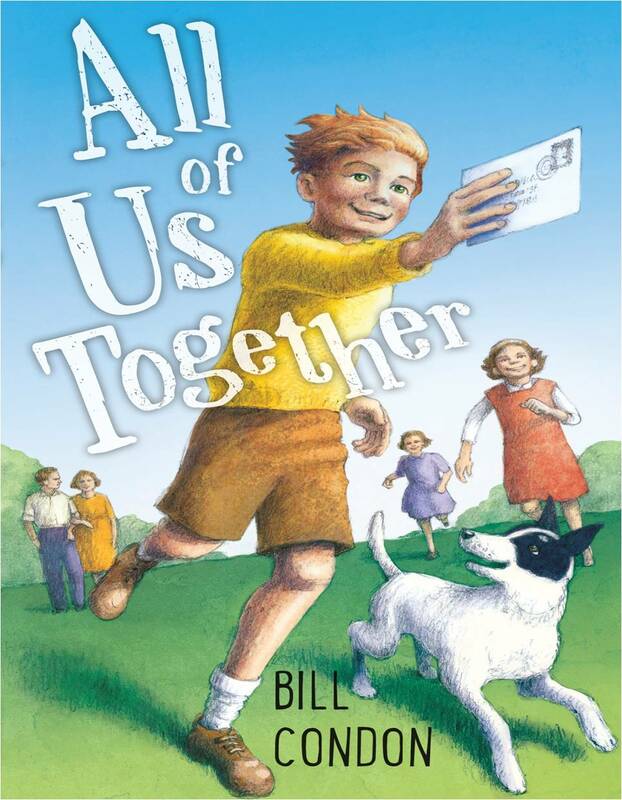 Bill is celebrating his new book, All of Us Together with a promotional tour. Just for something different, I’m posting a play that Bill wrote based on the book. Enjoy this extract from the story. It’s bound to make you smile. We don’t have to wish Bill good luck with his book, his reputation as a great writer is so well known that I’m sure it will fly off the shelves. All of us Together is a junior fiction novel set in Australia’s Great Depression of the 1930s. When John O’Casey leaves his family to go in search of work, his wife Margaret is left to raise their three young children, Daniel, Adelaide, and Lydia. Daniel, being the eldest, tries to take on the role of being a leader, but as he discovers, it’s hard to be a man, especially for a boy who’s only twelve-years old. 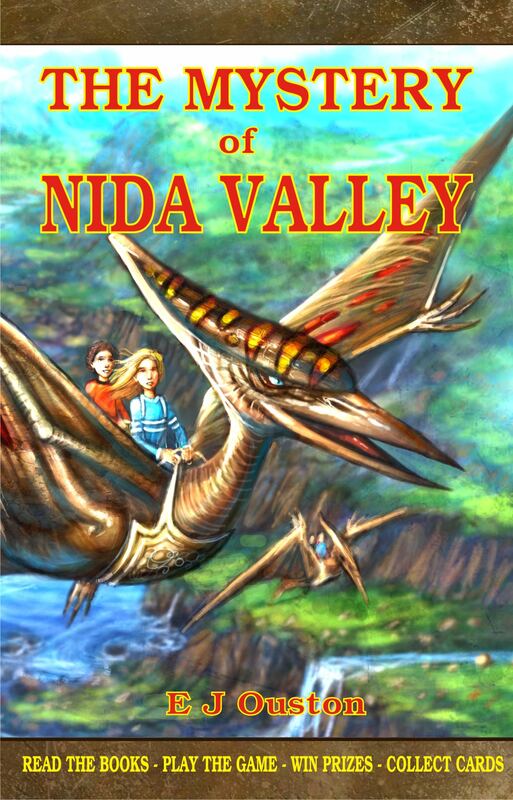 Although the events within these pages take place many years ago, it is not primarily an historical novel, but one that examines the lives of the same kind of down-to-earth people, who live and breathe today. This is about a family who remain hopeful and resilient, as they stand together through the hardest of times. All of us Together is an uplifting story, told with poignancy and humour. NARRATOR: When John O’Casey left home to look for work his family knew he might be gone for a long time. Mum would need her son Daniel’s help, more than ever before. But was he up to the task? MUM: I know you will. Now, have you brushed your teeth? MUM: It’s either “yes, I have” or “no, I haven’t”. Which one? MUM: Leaders brush their teeth without their mothers telling them. It might be something to keep in mind. MUM: Oh, while I remember it — I haven’t seen your underpants in the washing lately. How long have you been wearing those ones you’ve got on? NARRATOR: Daniel does a quick calculation and come up with four. It sounds too high. DANIEL: Only about two days, Mum. NARRATOR: She looks at him like she’s having trouble believing a word that falls out of his mouth. MUM: Before you leave this house, boy, I want you washed and brushed. Every last living bit of you. MUM: As for the state of your underpants — what if you got yourself skittled by a bus on the way to school? With dirty underpants on? How would that be? MUM: That’s the first thing you’ve got right all morning. It would be a disgrace. There you’d be lying dead, and people would be looking at your dirty underpants. They’d think I was a neglectful mother. Is that what you want? MUM: I should hope not. There’s hot water in the kettle. You can nip into the bathroom and get yourself washed. I won’t tell the girls about your father until you come back. Hurry along. NARRATOR: But Daniel has a question that won’t let him leave. DANIEL: Mum . . .
MUM: There’s a pair of clean underpants in your drawer. Off you go. NARRATOR: He still doesn’t go. MUM: Goodness, boy. You’re hanging around me like a bad smell. What is it you want? DANIEL: There’s something I have to ask you. MUM: I’ve got a mile of things to do. Won’t this keep till later? DANIEL: One question, Mum. It’ll only take a few seconds. MUM: A few seconds then, but not a breath more. Out with it. DANIEL: I wanted to know if . . . if . . .
MUM: Oh for heaven’s sakes. If what, Daniel? DANIEL: If you’re going to leave us, too? NARRATOR: Mum stares at Daniel. For a moment it looks like she’s getting ready to bite his head off. MUM: Oh yes, mister, I’ll pack my bags and leave this very day. NARRATOR: Her stare becomes a smile. MUM: If you don’t change those underpants!